Foxburrow Vintage: Green, Green, Green! Since today is St. Patrick's day I thought I'd do a quick little post with some fun green items from the shop! 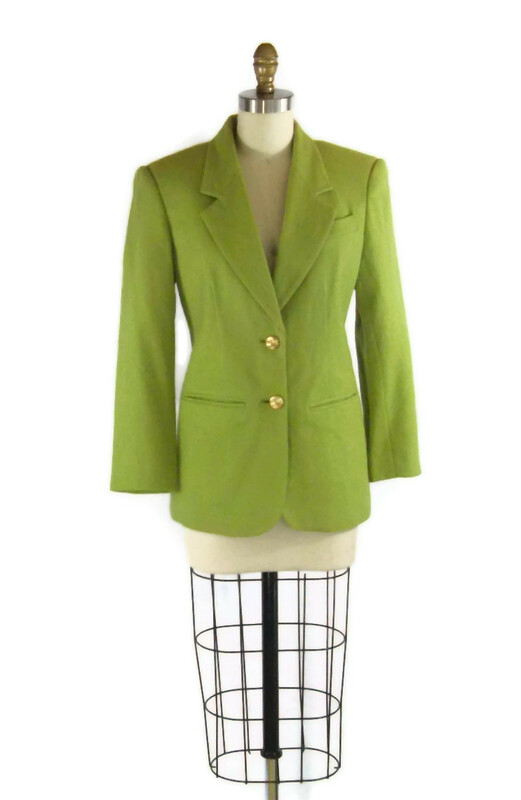 I'm in love with the color on this spring green blazer. Perfection for when you still want to be bright and cheery but it's a little chilly. 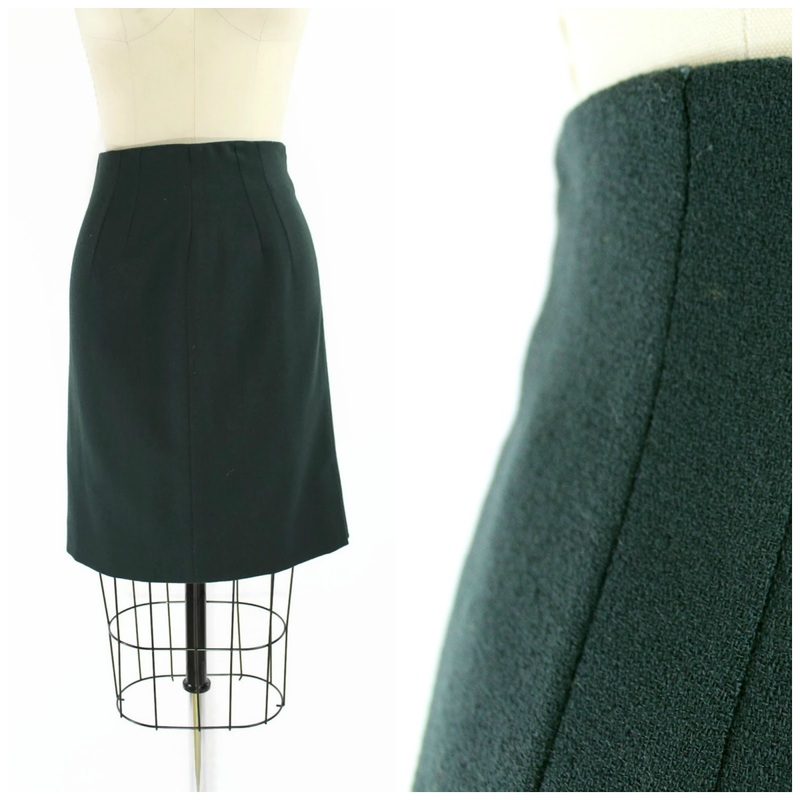 This emerald pencil skirt would go with...well...basically everything. Super lines for an amazing fit and pure wool to boot! 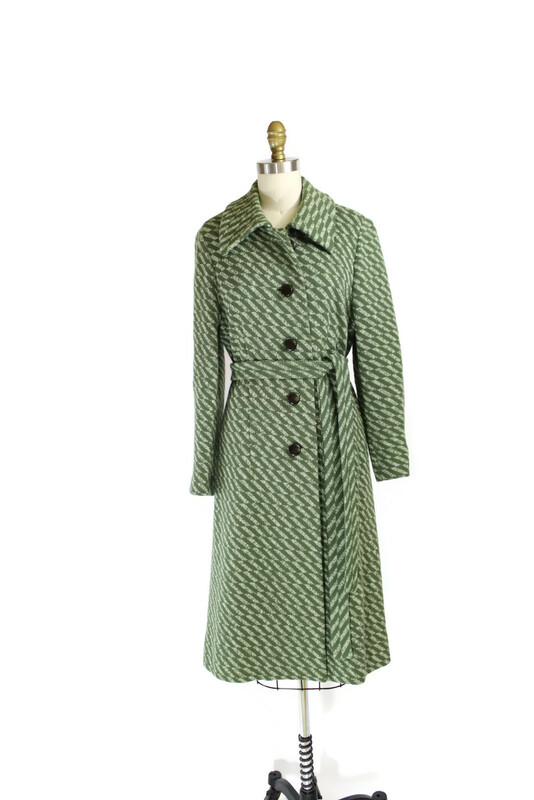 This wool green coat I picked up from an estate sale with some great pieces. By Cisa and princess cut! 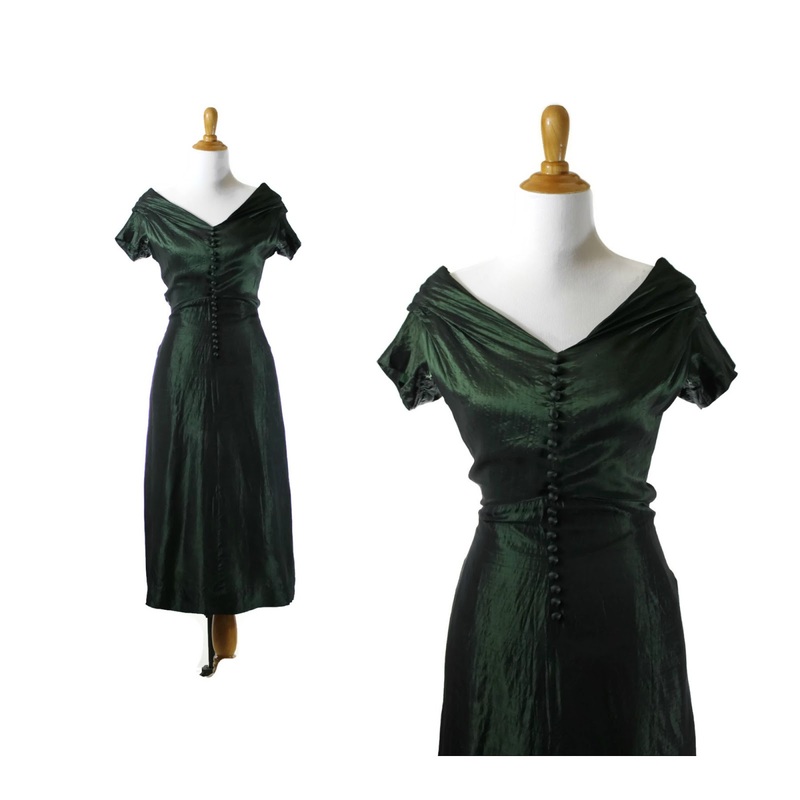 The buttons down the front of this and nipped little waist make this dress fun and classy at the same time. 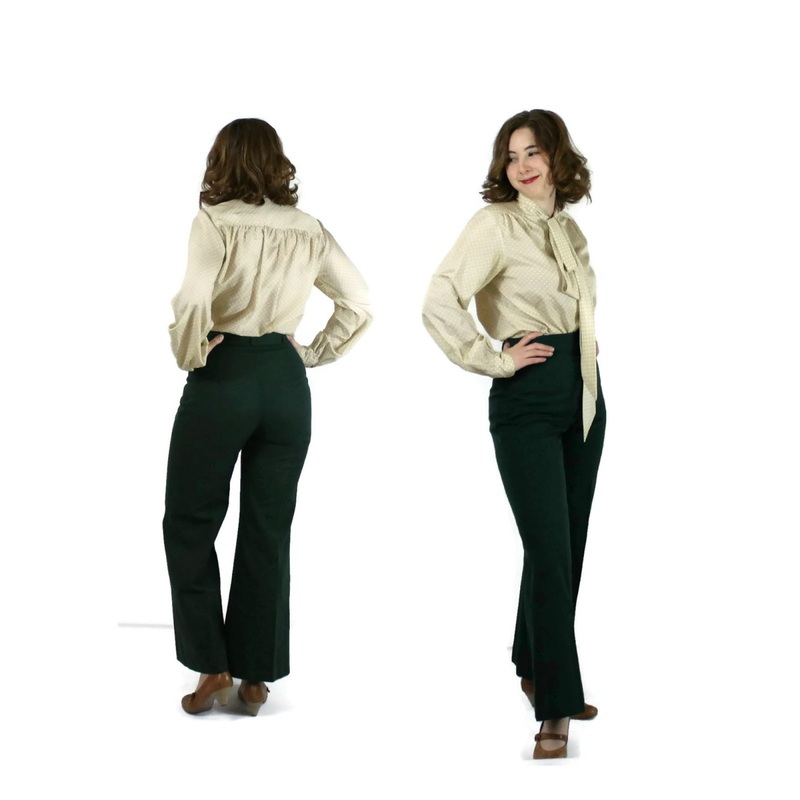 These 1970s high waisted forest green pants. Yup. 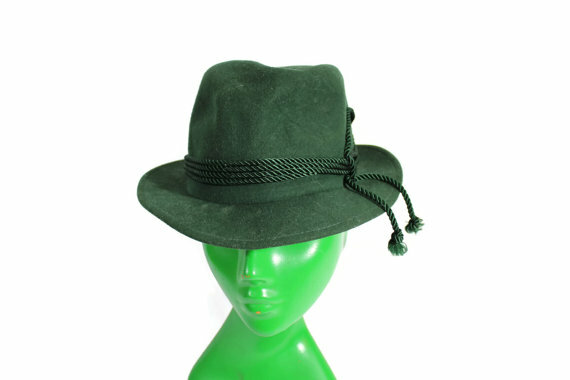 And this vintage fedora with tassels just about wraps up my favorite green items in the shop right now.